Finding gifts your children will continue to enjoy long after the holidays are over is always a challenge. We've put together our list of the tech gifts that will continue to engage your kids with educational, athletic or creative fun for months and years to come. 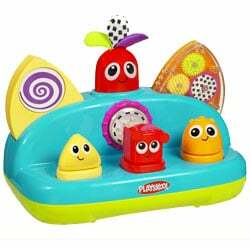 An all new look to a press and pop toy that will fascinate babies. Push the shapes in front to make the rear shapes pop-up and move. Push them down and play it again! The three shapes that activate the motion also come out of their slots. So this is a matching game as well as one that introduces shapes and cause and effect. Our kids had a similar one when they were babies and couldn't get enough of it!. 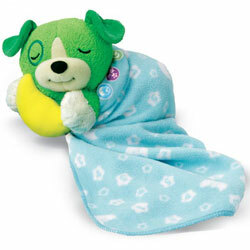 This ultra-cute plush toy plays lullabies and teaches first words and counting. The moon glows softly like a nightlight and the blanket detaches for easy cleaning. There is also a Little Violet version for girls. 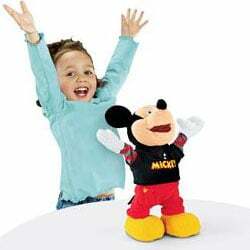 The Fisher-Price Dance Star Mickey Mouse comes to life right before your little one's eyes. Mickey Mouse talks, walks and dances to his own beats. Features cool new dance moves, including the Moonwalk. With multiple songs, interactive activities and silly humor, Dance Star Mickey Mouse is sure to knock off your child's socks. 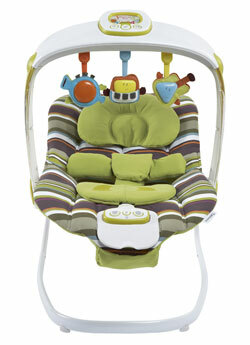 Entertain your baby with the Mamas & Papas Magic Astro Bouncer. This bouncer offers four entertainment settings when used with a Mamas & Papas Magic Card and Toy Pack (sold separately) to provide sound and light shows that your baby can control with the interactive kick pad. Connect an MP3 player to let your baby listen to your music or audiobooks through the high-quality, built-in speakers. When it's time for baby to rest, you can use the easy-to-adjust gentle vibration function to lull him or her to sleep. 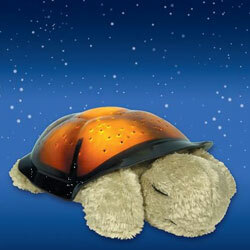 Twilight Turtle transforms any room into a starry night sky to help comfort children to sleep. From within his plastic shell, Twilight Turtle projects a magical constellation of stars onto bedroom ceiling and walls in three soothing color options. And Twilight Turtle's shell illuminates like a nightlight. This interactive and educational toy includes eight actual constellations (such as The Big Dipper), and parents can sit with their children and identify the constellations using the included Twilight Turtle Star Guide. Twilight Turtle come in three color options: blue, green and amber. 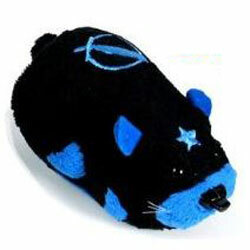 Zhu Zhu Pets are too, cut and cuddly for boys, but a "battle hamster", now that's cool! With eight characters split into two battling groups called Special Forces and Ninja Warriors, kids can train their Kung Zhu Battle Hamster to become fighting, battling warriors. Smart chip technology will actually allow you to hear the distinct personality transformation of fighting ninja and warriors. Once transformed, you can arrange battles between your Special Forces and Ninja Warriors! 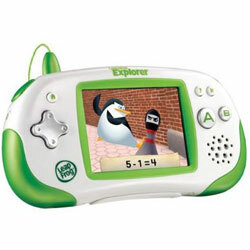 The Leapster Explorer Learning Game System from LeapFrog is an exciting, handheld gaming device that plays Leapster Explorer e-books, games, videos and more. 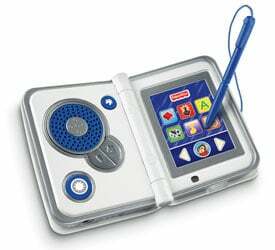 With the Leapster Explorer, kids practice a range of skills--from reading and writing to math and sciences--through play and entertainment. Even includes a parent monitoring feature that shows your child's progress in different learning touchstones and how much time she spends playing certain games. The Leapster line has been a big favorite of our kids for years! 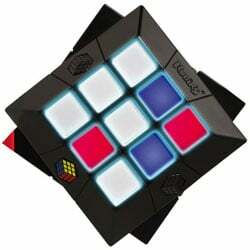 The 46 oversized pieces of the 3D Sneaky Floor Puzzle are easy for smaller hands to hold and fit together. Bright colors and a busy buggy scene will keep kids captivated as they work to complete this challenging puzzle. Once it's all together, the 3D glasses make the whole scene pop right up off the floor. Hidden letters and numbers in the puzzle create an extra fun challenge for older kids. 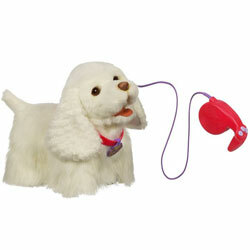 Modeled after a Bichon Frise dog, GoGo is soft to the touch and proportioned close to the real thing. With the big-buttoned remote control that doubles as a leash and fits comfortably in a young child's hand, you can turn on the pup and she's raring to go. Once GoGo starts moving, she doesn't want to come back! GoGo is also sound and motion activated, so any activity on your walk will make her respond like a real pet. The iXL is like an eReader for young kids–with both a read-to-me mode and one where your child can press and hear the words. 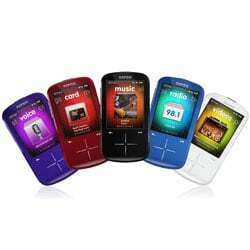 The device also serves as a game player, music player, art studio, note book and photo album. Each activity comes with preloaded content, and you can load your own pictures and music directly onto the iXL or an SD card. Additional titles feature characters such as Ni-Hao Kai Lan, Disney Princesses, Handy Manny, Batman, Toy Story and Scooby-doo. Become an instant rock star with Paper Jamz! "Active Graphics" circuit-embedding technology allows you to play like a pro just by touching the Paper Jamz guitar's fret and strumming the printed "strings". 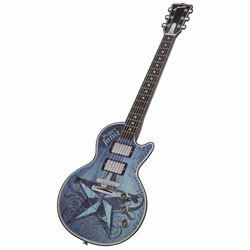 Six guitars are available, each with three hit songs built in. Freestyle mode lets you play real chords and create your own songs. Each Paper Jamz guitar features a built-in speaker with volume control, plus line out for earphone or speaker accessories. Another favorite of the Techlicious kids! 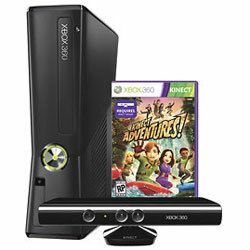 Microsoft Kinect does away with game controllers entirely. It uses a sensor bar with a pair of cameras that tracks 48 points on your body and an array of four microphones to pick up your voice, so your body becomes the game controller, letting you interact virtually within the game. And unlike controller-based games, kids get a real workout. Our six-year old gets more exercise playing Kinect than he does playing real soccer! 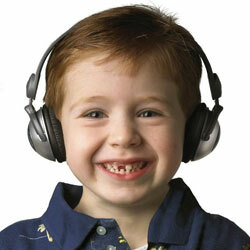 Kidz Gear Headphones are simpy the best choice for young kids. Custom designed fit for children 2-years and older, they are lightweight, comfortable and have a built-in volume control knob. An included volume limiting cable limits audio volume to approximately 80% (~ 20dB lower) of original maximum volume—protecting kids' sensitive ear drums. Of all the headphones we've tried, these were far and away the favorites for our kids. They’re bugs, they glow in the dark and they move like they’re the real thing. What’s not for a kid to like about these cool and creepy robots? 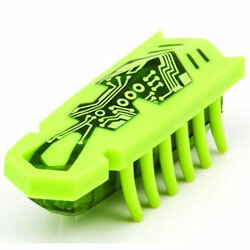 The HEXBUG Nano is vibration propelled, moves in random patterns and can find its way around obstacles. And you can register it online to play games. Kids can watch video on the 2.4-inch screen, share photos, listen to FM radio and record voice memos on the Sansa Fuze+—a great value compared to other media players. Plus, it supports online music services like Rhapsody ($15 per month), so they can explore new artists and genres without racking up huge bills. 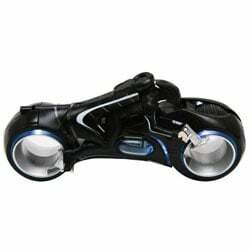 Kids will love taking control of the Light Cycle from the holiday blockbuster movie Tron. The remote control motorcycle plays on almost any surface and even lets you drive up walls and on ceilings! Plus it leaves a trail of light, making it perfect for dark and dimly lit rooms. The controller doubles as a charger, making it less likely it will go missing. 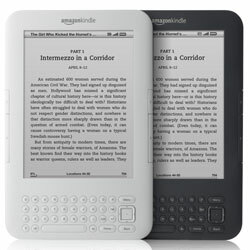 If you have an avid reader on your list, look no further than the Amazon Kindle Wi-Fi. There’s now a large selection of young adult books available, including free ebooks from Google Books and the public library, and it’s more portable than a paperback. Plus your child will never be without a good book—the Kindle bookstore is always open and it’s easy to shop for new titles on the device or from the comfort of a computer. Word game lovers will be familiar with the basic concept: take five letters and create words. Scrabble Flash Cubes puts a new twist on it. 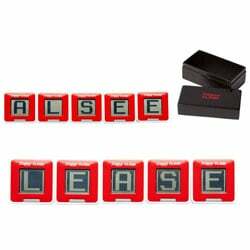 The five letters are electronic tiles that can “read” the letters on tiles placed adjacent to them and beep as each word is registered. When time is up, the score is displayed on the tiles. Play alone or with a group. And the tiles are easily carried in the attractive storage box. If your child likes to build things, you can’t go wrong with this great easy-to-use electronic construction kit. This Snap Circuits set takes you through 125 projects that explore alternative energy sources including solar, wind and old-fashioned elbow grease. Build radios, clocks, windmills and more. 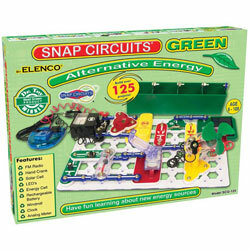 The kit is compatible with other Snap Circuits sets. PlayStation Move brings a whole new level of realism and control to video games that gamers will love. Buttons on the control wand deliver the flexibility of a traditional controller and the PlayStation Eye camera provides depth and tracking of subtle movements. 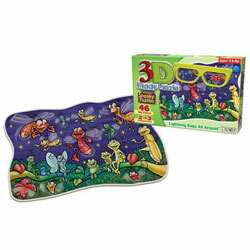 Some titles also come in 3D for the ultimate immersion experience. 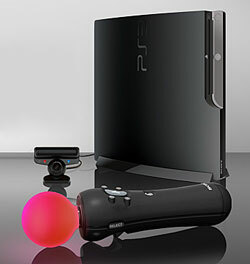 Read our review of PlayStation Move. The concept is simple: rearrange the lights on the surface of the Rubick’s Slide by twisting, turning and sliding the light panel until the pattern matches the solution for that puzzle. And yet we can attest to the fact that it’s highly addictive. See how many puzzles you can solve in Free Play mode or race against the clock to complete a series of 10 puzzles before times runs out in Lightning Round.